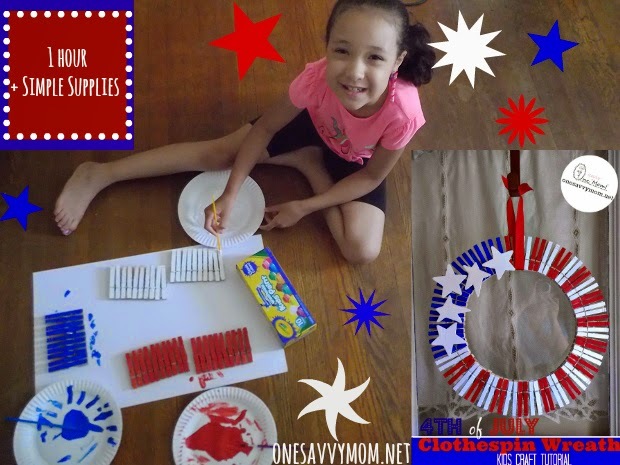 With 4th of July coming up next week, my two older children have been crafting up some fun and simple DIY 4th of July decor. 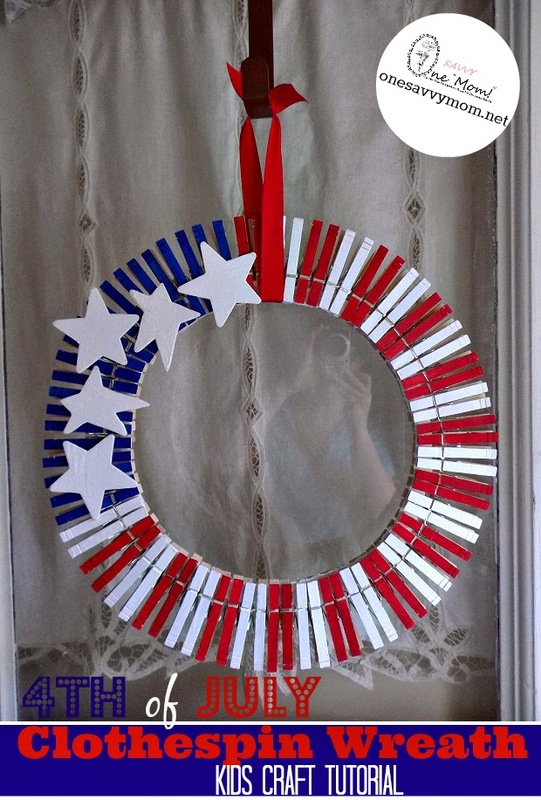 We spent about an hour this afternoon making this super cute patriotic clothespin wreath. It's an easy kids craft and only costs about $5 to make. Crayola Washable Kids Paint (red, white, and blue) Paint 30 red, 30 white and 20 blue. Use 2 coats of paint -- on the face of the clothespins only. Foam board or corrugated cardboard ( cut a 16"D wreath form that is 1/2" W) to clip your clothespins to. Use a small dab of wood glue or low temp hot glue to secure each painted clothespin to your wreath form (using a pattern of two red, two white etc. + a section top left using 20 blue). 4-5 Wooden Stars ( we found the stars pictured at A.C. Moore for .20 c each). Paint them white and use a small dab of wood glue / low-temp hot glue to affix to the blue section. Note: Low temp hot glue / wood glue should be handled by adults only. Click HERE for more fun kids craft tutorials.